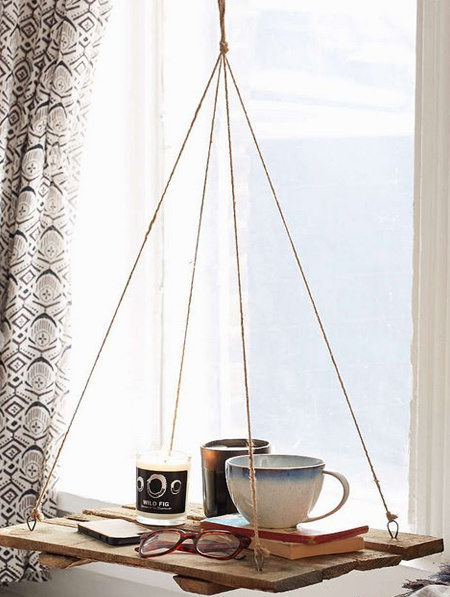 In a bedroom where space is limited, a hanging table takes up absolutely no floor space and is an easy DIY solution that you can make in an hour or two using a variety of materials. 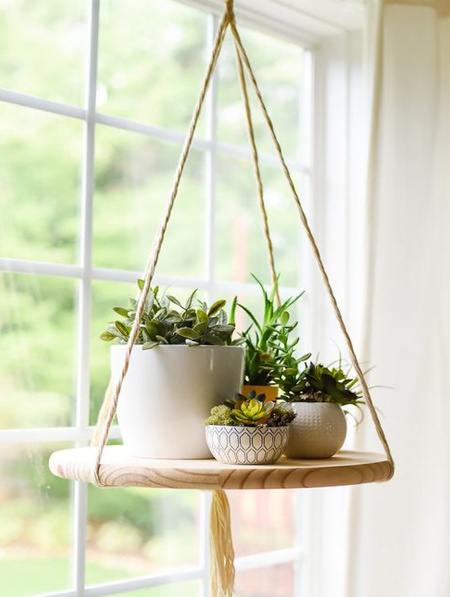 All you need to make your very own hanging table is something sturdy for the table surface, cup hooks, twine or rope to hang, and a strong hook to secure into a roof beam. Find all the materials for this project at your local Builders store. For the table itself there are a variety of materials that you can use for this project, and quite a few examples shown here. Reclaimed wood from pallets is just one of the more affordable options, but there are other materials that can be used – and some of which you may already have in your home. 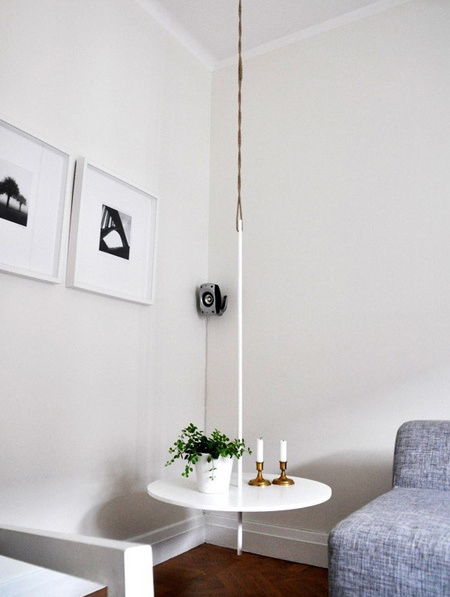 When mounting a hanging table, it is important that the hook be securely screwed into a sturdy ceiling beam. If there are no beams in the vicinity where the table is to be mounted, pop into the ceiling space and add a piece of pine (fastened to existing beams) to bear the load. Never hang from the ceiling boards, as these are not strong enough to support the weight. 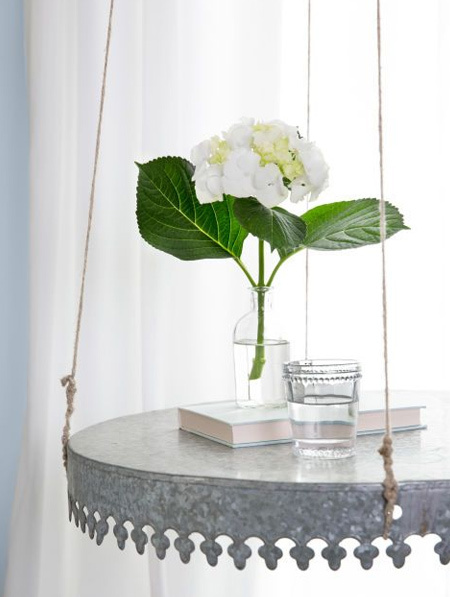 BELOW: A galvanised steel tray with decorative edging is turned upside down for a pretty hanging table. 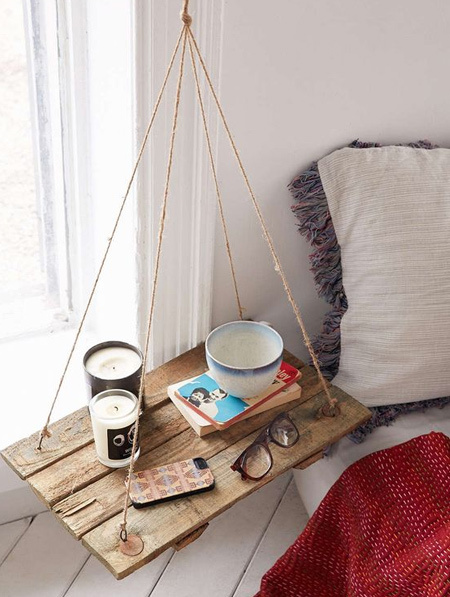 BELOW: A pine chopping board becomes a rustic hanging table next to the bed. 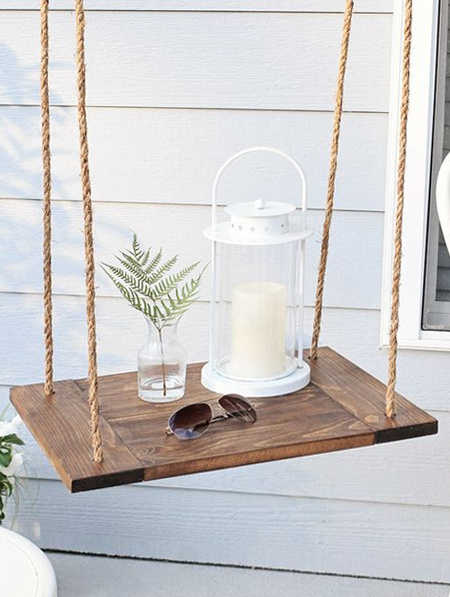 BELOW: Just as handy outdoors… Make hanging tables for a patio or deck. 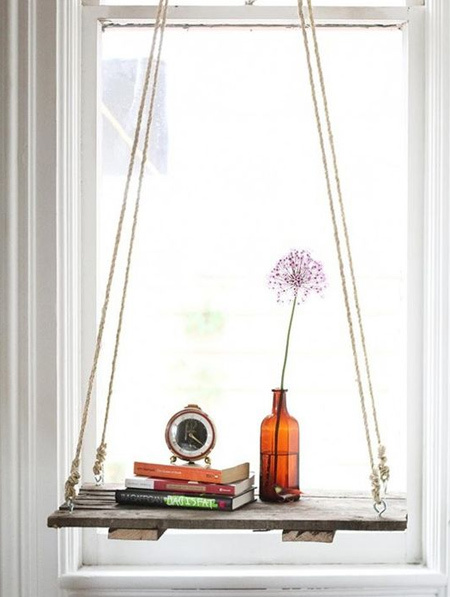 BELOW: Mount a hanging table in a small room to give the illusion of a much larger space – the more floor that you see, the bigger the room feels.